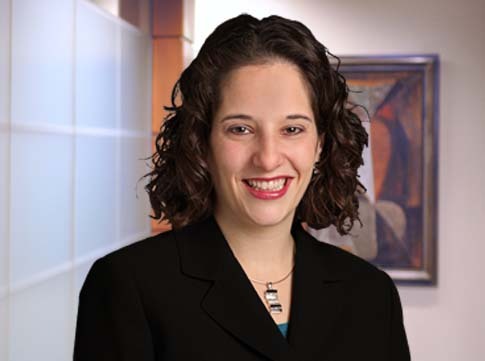 Leora Maccabee, an attorney in Maslon's Litigation Group, was interviewed by Minnesota Lawyer in an article titled "Breaking the Ice: Entrepreneurial spirit fuels litigation practice, Jewish community website." In the feature, Leora shares what inspired her to practice law, what she enjoys most about her practice, and a few items from her life outside the office, including her work launching the nonprofit that runs TCJewfolk. To read the full article, go to: Minnesota Lawyer, "Breaking the Ice: Entrepreneurial spirit fuels litigation practice, Jewish community website." Leora practices primarily in the areas of general business and trust & estate litigation. In the business litigation side of her practice, she prides herself on offering exceptional legal service to businesses—from multimillion-dollar companies to startups—facing conflicts and challenges that at minimum threaten to distract from the products they are selling and services they are providing to our community, and at maximum are bet-the-company matters. As a trust and estate litigator, Leora partners with other attorneys in Maslon's Estate Planning Group to handle contested matters in the probate courts, representing her clients in disputes regarding the obligations of fiduciaries such as a trustees, executors, conservators, and guardians as well as the interpretation of testamentary instruments.